My husband is an amazing guy. He’s stuck by my side through thick and thin, as good husbands do. He held my hand during the dreaded autism diagnosis for not one, but both of our children. He held me as I sobbed like the emotional, hot mess I was. He has taken a stand not in front of me, or even behind me, but beside me as we’ve watched my health and especially my mobility deteriorate. He’s dealt with the pieces that fall over the place in this family with heaping doses of grace. But sometimes that takes a toll on a person. Day after day, the burden can become great. I know this, because I’ve felt it too. Many hard days pass. The burdening of life day after day can be emotionally exhausting. It can break you down bit by bit, piece by piece. 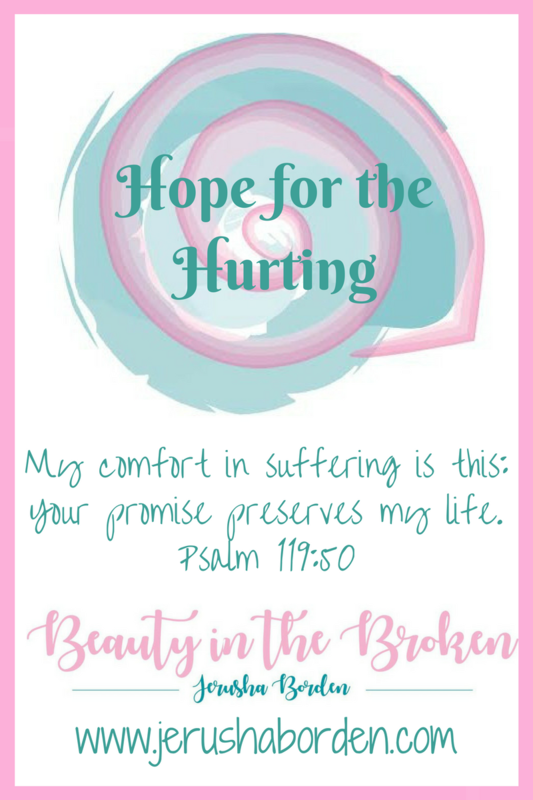 I remember praying for something to do to help with the feeling of the broken places in my life – I knew only God could truly fill me up and cover the brokenness. But I fall short, and I wanted something tangible. I found this in creative outlets. First scrapbooking, then card making. I did these for years, and they worked well until they didn’t anymore. I prayed for something new, and unexpectedly found it in crocheting, something I’d decided early on in life I’d never be able to do. Still, I learned and now love the feel of different fibres and yarns as they glide over my hook. But as I did these things, finding peace in the process, I watched my husband. The strain of life on his shoulders. Every day he would be working, then coming home to his family. He didn’t have any friends close by, so he rarely went out. I prayed over and over for friends for my husband. Last year, he started attending a small group outside of our church that better fit his demanding work schedule, and my prayers were answered. He made friends who shared his faith and cared about him. He became a texter. My heart smiled. Still, the weight of our life, while lifted by sharing his burdens with his small group friends, was still taking a toll. I encouraged him to find a hobby, something to help him. He wasn’t completely on board with my suggestion, not being a gamer or very into sports. He dabbled in a few things here and there, but nothing stuck. Until now. My husband is a runner. He loves it. He needs it. And I’m so thankful. But to be honest, I didn’t always feel that way. Watching my husband participate in such a healthy hobby made me feel insecure about myself. My exercise routine isn’t great, thanks to my special circumstances. It makes exercising excruciatingly painful, and I only do it because I have to. There is no joy in it. So watching my husband enjoy a sport so much made my heart ache. I was filled with bitterness. He asked me to come and watch him participate in his first race this summer and I did, but not with a joyful heart. I couldn’t stand the thought of his fellow athletes looking at me in disgust as I cheered him on. But cheer him on I did, and when he unexpectedly placed in the race I did feel proud. But the bitterness was eating at me from the inside out. He started spending money on his hobby, buying new shoes, clothing and other gear. 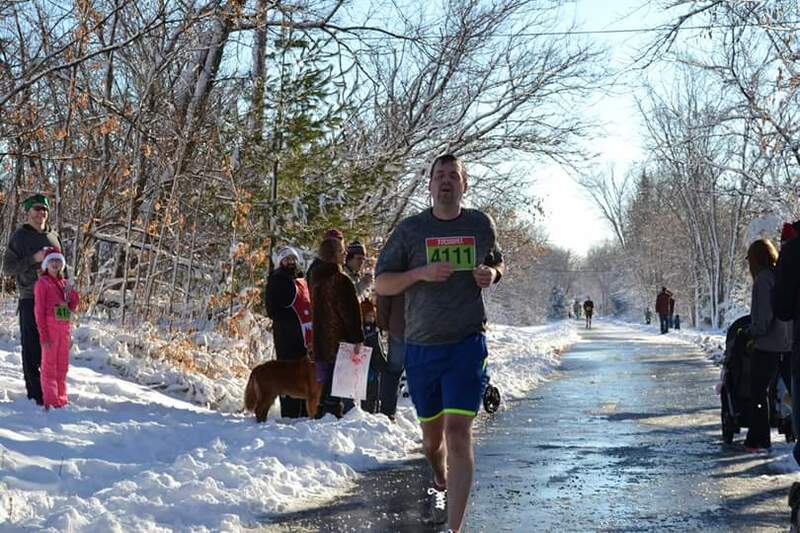 He joined a group of other believers who meet twice a week to run and fellowship together. The weight of our life was lifting more and more with every passing day. But mine was getting heavier and heavier. It was difficult for me to listen to him talking about running and races, because I had zero interest in the subject. But he listens to me talk about my crochet projects, and a good marriage is one full of love and respect, so I listened. I even purchased things for him – to help make things easier for running on the dark, wintry nights. Still, my heart needed to change. So I turned to the One who removes all bitterness, pleading for a change of heart. Honestly? I’m not there yet. He has a Christmas party this week and I’m invited to attend. Just thinking about it, I feel my insecurities are creeping in. They’re all lovely people, but I don’t feel like I’m good enough to sit amongst a bunch of runners and share a meal. One thing I’m learning is that the only way for my heart to change is to accept some truths about myself and throw out the lies that I’m less of a person because I’m not athletic. At all. First Truth – The more I compare, the emptier I feel. I don’t like feeling empty. 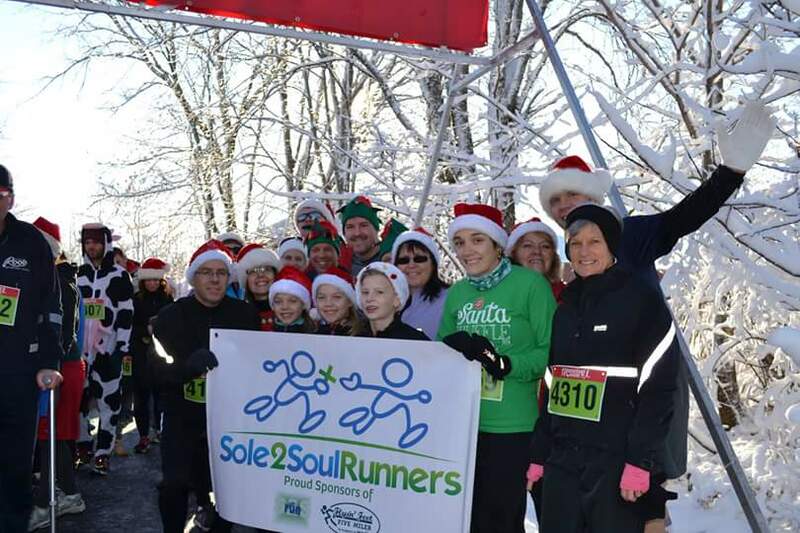 But every time I compare myself to a group of runners, it saps up what fills up my soul. What fills up my soul? My purpose. Which leads me to my next truth. Second Truth – My value is not found in what I can and can’t do, or how I look or don’t look, but in how Christ sees me and how He defines me. He doesn’t define me as a bitter, empty woman, but as someone who has a specific job to love and encourage others. And you know what? When I do this, I’m filled with joy. Third truth – When I’m doing my Jesus work, and spending time with Him, there’s no room for bitterness. Enough said. 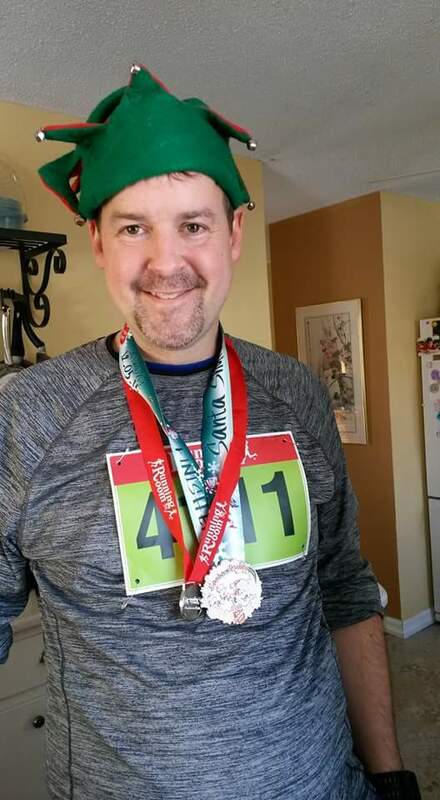 So, yesterday when my hubby participated in another race, got a silver medal, and had his picture in the paper, I was honest to goodness proud of him. I was able to share in his excitement and not be wrapped up in my own insecurities. I’m sure he’ll be in more races. In fact, I know he will be, because we were already looking ahead to see what was coming up in the new year. I’m praying that going forward, I’ll remember these truths and be able to cheer him on with a joyful heart. 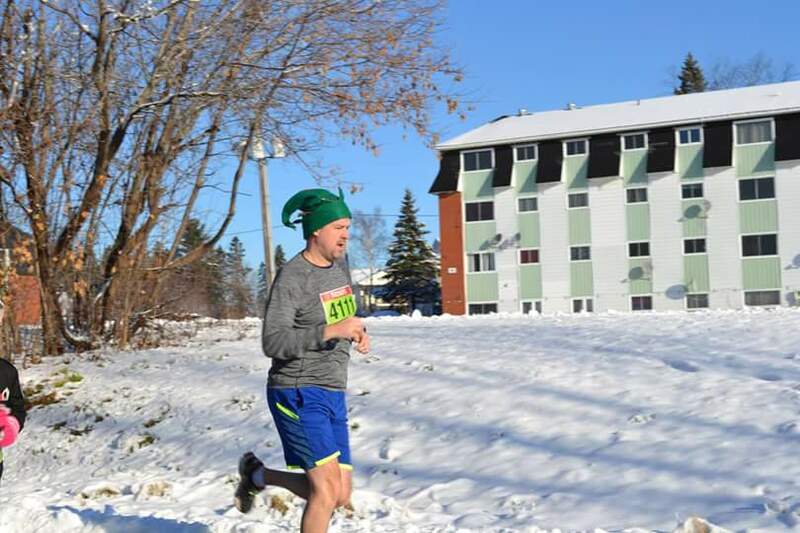 Worrying about him not falling on the ice and seriously injuring himself during his winter runs is another story. I have a feeling God has a lot more work to do on my heart yet. He’s picking up the pieces of our lives and making them fit because that’s what He does. He’s faithful, and I’m thankful. Next Post It’s Time To Give.